– I wanted my life back. This book outlines for you all of the positive steps I took in my own recovery and will enable you to self heal, revitalise your natural healing power. You will able to encourage and motivate all the resources of your mind and body to self-heal. 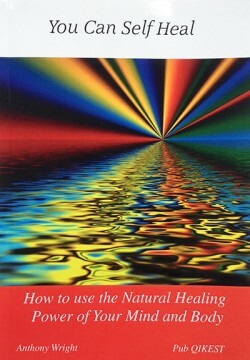 The book is a map or guide that will offer a structured, self-managed approach for your own healing. Why you might get stalled in recovery with solutions to revitalise your condition. The causes and consequences of “survivor`s mind-state” with solutions to overcome the condition and enrich your life. How to enjoy a full life of colour, overcoming challenges and adversity in recovery. A hands-on outline plan for day-to-day self-healing, to encourage your recovery. Empower and motivate you to take responsibility for your own health and get your life back, this is about pride and self-respect. You will understand the psychology of long-term medical conditions – with thought provoking solutions to enrich your recovery. How to work with (and challenge) the medical professionals and enlist your Doctor. Utilising the body`s natural healing power I have developed a mind and body approach to self-healing. This will help you in your journey of recovery and maximise your recovery potential.